In December, sometimes you almost forgot to have a garden, especially in case of frost. There are many fruit and vegetables that can be harvested during autumn and winter, and you can also harvest limited amounts of fresh herbs too. Don't forget to compost all kitchen scraps, to feed the soil for next season crops. 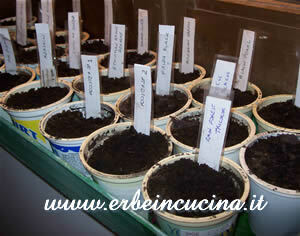 By the way, did you already plan next year's sowings? 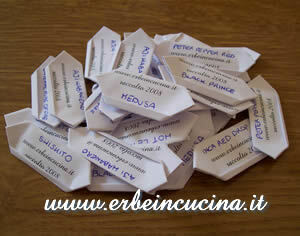 It's the right time to buy and exchange seeds: look how to create sporigami, resealable bags made of paper, without glue or tape. 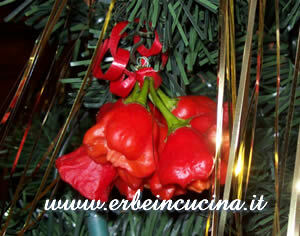 …but if the minimum temperatures have not dropped below zero, chilies continue to ripe: last year this Rocotillo decorated my Christmas tree. Related post: chili peppers plants during winter. 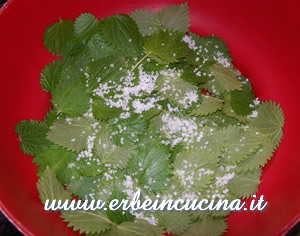 In December there is a fresh vegetable that will never betray you: the nettle. It grows in the garden and in the pots, and can be harvested (with gloves!) and cooked in many ways. 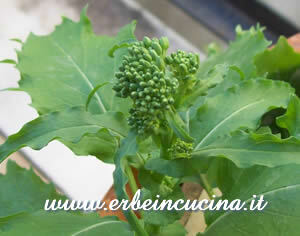 Another autumn vegetable: broccoli rabe. You can also harvest the cardoons sowed last spring. Seasoning vegetables and fruits, and harvest details: December harvest. 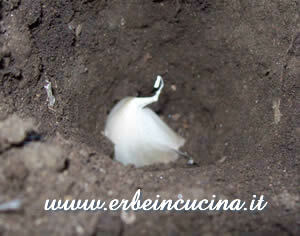 During December remember to sow garlic and onion bulbs. Protected: barilla plant, chicory, corn salad, lettuce, rocket, spinach.